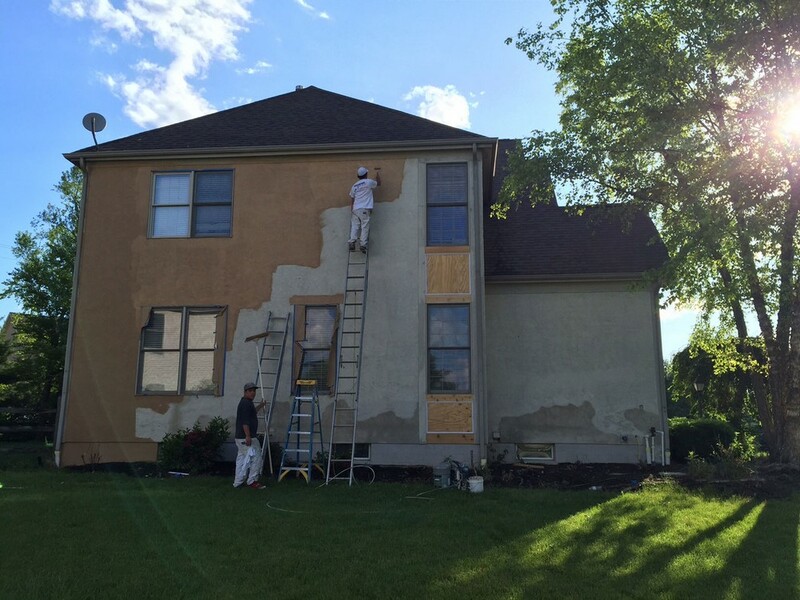 Stucco painting is one of the greatest things you can do to protect the masonry on your home. Not only does it refresh the look of your home, but it actually shields the exterior of your home from water damage as well. Sharper Impressions has a team of professional painters to make sure your home remains the best looking house on the block for years to come. You’ve probably noticed that when it rains, the water causes discoloration and graying of the stucco from being moist. That’s actually rain water and moisture getting inside the natural grooves and cracks of the stucco. Sharper Impressions Painting can help seal all those hairline fractures and cracks and prevent future splitting of the masonry. On some homes, you may notice water stains coming down from windows and other wood trim areas onto the stucco surface. This is caused from years of water running down the stucco. When you paint stucco, it seals all the nooks and crannies in the wall. Thus, staining has a tendency to just slide down the surface of the coated stucco and harmlessly absorb into the ground. When you paint stucco, you have the ability to change the color of your home completely. We use stucco paint that lasts over 20 years without peeling or blistering. So not only do you have a fresh, new color on your home, but it is also protecting the masonry surfaces from rain, snow and wind. Stucco painting is a great way to change the color of your house, update its look and protect your home from moisture. Stucco homes that are painted by Sharper Impressions have less staining, fewer cracks, less moisture content and can be fully customized to the homeowner’s color preference. Think of an investment in having your home painted as an investment in the foundation of your home. What better investment could you make? Looking for stucco painting services to give your house a fresh look? Call Sharper Impressions Painting today to schedule a free estimate, or request a free quote by filling out the form below!